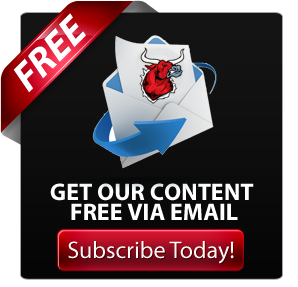 The Bullvine has produced many articles on investing in genetics using genomic information including our early article 6 Ways to invest $50,000 in Dairy Cattle Genetics. 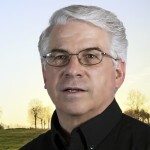 Other Bullvine articles included Craswell Common Sense – Go For the Total Package, Mapel Wood Farms – Invest in the Best Forget the Rest, The Judge’s Choice – Investment Advice from Tim Abbott, and the Bullvine’s frequent articles on top picks in upcoming sales (Read more: Dairy Cattle Investment Advice). 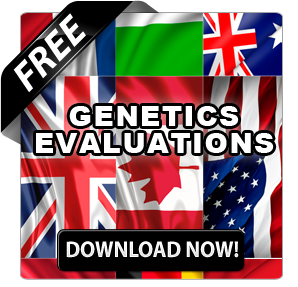 All these articles deal with finding and investing in the very top genetic animals. 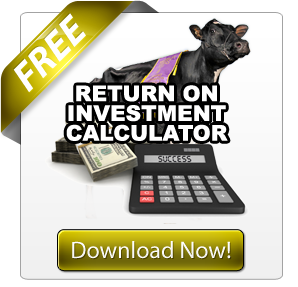 Today these investments are usually virgin heifers. Specifically, they are the ones that everyone sees in the press, in on-line sales catalogues or on Facebook. These young females usually sell for over $20,000 to $25,000. But what does a beginning breeder do? With limited capital what options are there if you want to kick-start the genetic level of his herd or start a new cow families? You need to think outside the box. The term ‘sweat equity’ is often used when a person takes on a project themselves rather than hiring an outside expert. Well the sweat equity when it comes to buying top genetics is the time that you will need to invest in researching and finding animals. This is not meant to say that your time is worth little. What it does mean is that breeders, taking this approach, will need to search, search, search,…study, study, study,… and above all exercise patience until they find the right one(s). At every sale there will be some good buys. It just takes time to do your homework to know which ones are good and which ones you will regret. A concept that bottom line focused beginning breeder might consider is to buy a top heifer for $6,000 or less. Flush the heifer and put embryos in your low genetic merit animals. 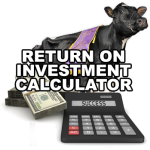 The heifer will need to have a Net Merit of $775, a gTPI™ of 2400 or a DVG LPI of +3200. Some folks may ask why invest in a heifer and not in embryos. Well it comes down to economics. Embryos from top cows sell for $1500 to $2000. It takes five unsexed embryos to get a live heifer. Then you must factor in that perhaps only one in four heifers will have high enough genomic numbers to be near the top and you can have $30,000 invested in getting a top daughter. 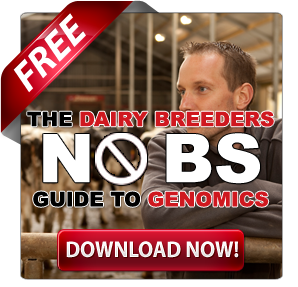 It is more cost effective to buy a heifer about which you already know the genomic numbers. So the challenge or opportunity, depending on how you look at it, is to find and buy a heifer that does not top the charts but is close to the top and that will give you progeny whose genomic indexes exceed, by a considerable amount, their parent average and that is also an animal that does not cost an arm and a leg to buy. 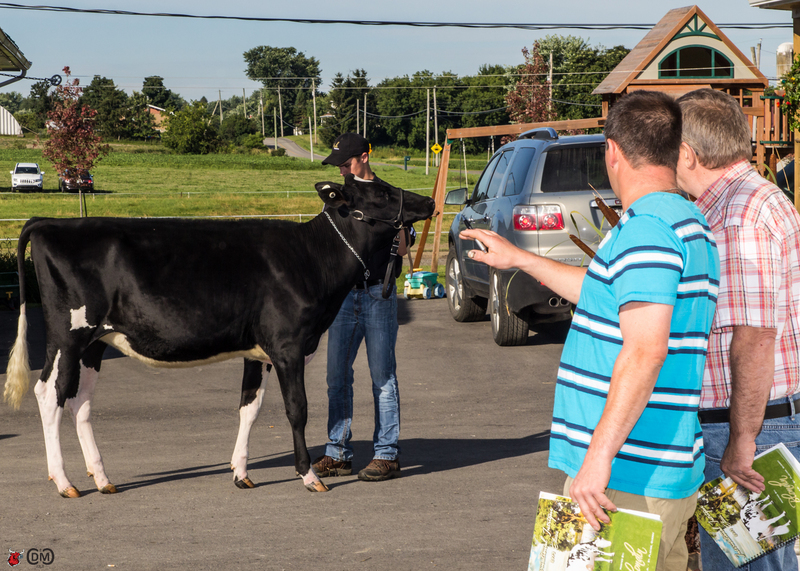 As most breeders do not attend or participate in showing, the focus for breeders early in their careers will be cow families, high lifetime yields, fertility and ability to stay in the herd and not be culled. In the future that check list is likely to include feed and labor efficiency. Above all when you’re starting out establish your focus. It will change over time but searching for show genetics one week, protein yield the next week and then before the month is out five other traits is not likely to get you to where you need to be. This is especially true if you are working with only a couple of heifers at any given time. Unlike breeders with a larger program who can likely cover a number of breeding fronts at one time. Don’t let the excitement of the sale get the better of you. Keep your focus and know your criteria, your price may be different than someone elses, that’s ok. You have to do what works for your plan. The Heifer will need to produce well, for milk fat and protein, and classify GP83 or higher in her first lactation. Eventually she will need to score VG. Likely the heifer you will be able to afford will be the third ranking full sister by a high genomic evaluated bull. It is how she will breed that will be important not that she’s third ranked. All but three of the top one hundred indexing heifers are sired by bulls with only a genomic index. Those three are sired by bulls on the top ten International gTPI™ list. Females with a DGV LPI below +3200 can produce top daughters when mated to the best bulls available. The dams of the top one hundred heifers with DGV LPIs below +3200 broke out as follows: 2 have daughters in the top ten; 18 in the top fifty and 35 in the top one hundred. As we would expect the top 20 heifers are a very superior group. i) All are from well known high indexing cow families. ii) All are over +3500 for their gLPI averaging + 3568; iii) Their DGV LPIs exceed their gLPIs by 338 on average. iv) Seven are sired by Seagull-Bay Supersire, five by De-Su BKM McCutchen and eight by six other high genomic bulls. v) These twenty heifers make the top of the list because they are exceptionally high for traits like fat yield, protein yield, herd life, SCS, daughter fertility and mammary system. vi) Worthy of note in the fact that only one of the twenty does not have positive indexes for %F and %P. One dam MISS OCD ROBST DELICIOUS-ET has seven daughters that make the top one hundred list. Her Butz-Butler Shotglass daughter tops the list at +3682 gLPI and her DGV LPI is a very high + 3909; that DVG LPI is 401 over the DVG LPI average of her parents. The Crocket-Acres Elita Family has three heifers in the top twenty. One heifer, S-S-I Zeus Mae 9096-ET, stands out as far exceeding (by 640 LPI) her parents in DVG LPI. Her sire De-Su Robust Zeus 11009-ET (DVG LPI +3301) and dam S-S-I Observ Manteca 7197-ET (DGV LPI + 3020) are not list toppers in their own right but together they produced this #6 heifer. 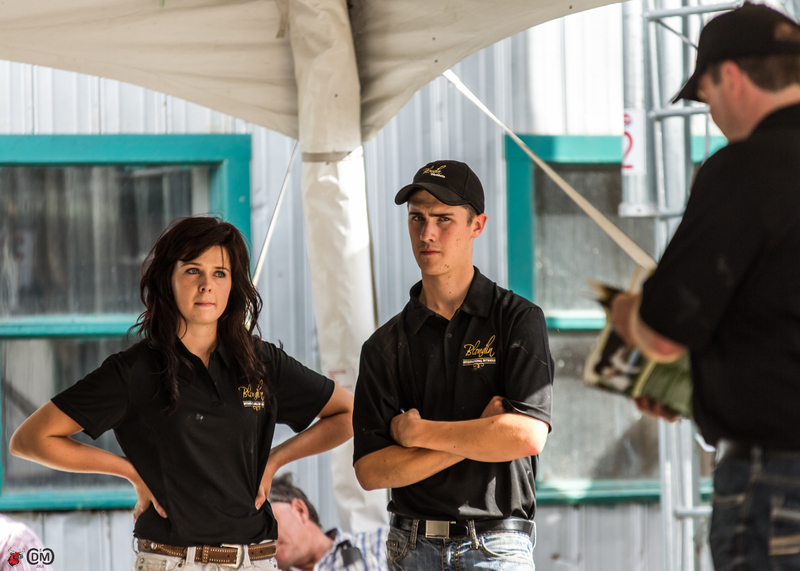 It is possible to get top progeny (daughters and sons) from females that may not quite be at the top of the indexing lists, provided, you use complimentary mating (Read more: Let’s Talk Mating Strategies) and the very best sires available on those females. Innovative forward thinking breeders have been and will always be the people who move dairy cattle breeding ahead. They are not satisfied to only think within the box. They use the approach that work for them. That’s always the best alternative. This is the best time EVER to buy great genetics (NOT GENOMICS) at almost common cow prices.